The debate over using handguns for self defense has been going on for many years. One side wants to eliminate handguns all together while the other side would like to retain our constitutional rights to own firearms. Using handguns for self defense is a viable option to protect yourself in a violent world. Hanguns are generally very effective at stopping an attacker. A individual with a handgun with no instruction or practice could be a very bad thing. When individuals carry handguns for self defense they should take several steps to protect themselves and others. Take a handgun self defense course at your local hunters and anglers or other firearms club to learn the proper way to defend yourself with a handgun. Practice with your firearm if you plan to carry it. As with nearly everything – practice makes perfect and you don’t want to be anything but perfect when firing a handgun. Acquire the proper licence or permit for your area. Some areas do not require a concealed weapons permit to carry, while others do. Some states do not allow concealed weapons in public at all. Choose a handgun that is right for you. Everybody is different and one gun does not fit all. 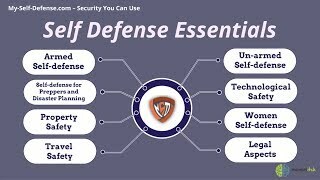 Visit our best self defense pistol page for more information on choosing a handgun for self defense. Choose a quality ammunition that is made for self defense and not target shooting. If you choose a 9mm you can find more info at 9mm self defense ammunition. Be aware that using a handgun for self defense is not always 100% effective. Depending on which part of the body you hit when shooting an assailant, they may or may not be able to continue coming after you. Many times people committing violent crimes are mentally incapacitate or under the influence of drugs or alcohol. If you were to shoot someone in the arm or shoulder while under these conditions they may be able to continue their assault on you and still be very effective at causing bodily injury. Some people also have very high pain thresholds and a shot in an area of the body that is not vital to live or walk may not have the effect you were hoping for when you decided that shooting them was the best course of action. If you decide to use a handguns for self defense please be sure to check local and state laws regarding where and when you can carry a concealed weapon. There are buildings such as schools and federal offices (includes post offices)that you are restricted from carrying a concealed weapon into. Know the laws for your area so you don’t find yourself in the big house. You can review the laws in your area at Wikipedia Gun Laws By State.